In my past life I not only had a large refrigerator in the kitchen, and a second smaller one, along with a 10 cubic foot deep freeze. 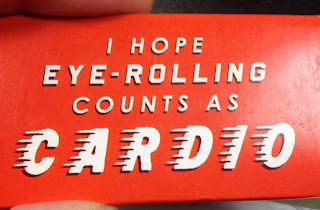 This was practical and realistic for that time in our lives. When we moved overseas we quickly adjusted to the fact that the refrigerator we now had would have easily fit inside the one we had in Canada, with room left over. A bit of a quandary at first, however, as the Europeans are known for we too shopped for consumables nearly daily. In Australia, we acquired a fridge that was similar to our North American style, and learned quickly that by living a mere 500 metres from the grocery store it was a little much. Our shopping habits were a blend of both North American and European style. With our return to Canada, we have had more opportunity for hosting people, therefore at times we would have benefited from having additional storage. And for that I am grateful. However, I have learned in the last six months that more is not necessarily practical or realistic for this time in our lives. Eager to hit the large warehouse grocers, I found our eyes were bigger than our consumption habits. A number of fresh “bulk” items had to be discarded. I found that having a freezer full of an assortment of meats and veg is not nearly as inspiring as it is convenient, and we’ve been drawn in by the advertising of buy 4 and save promotions to be an easy sale. 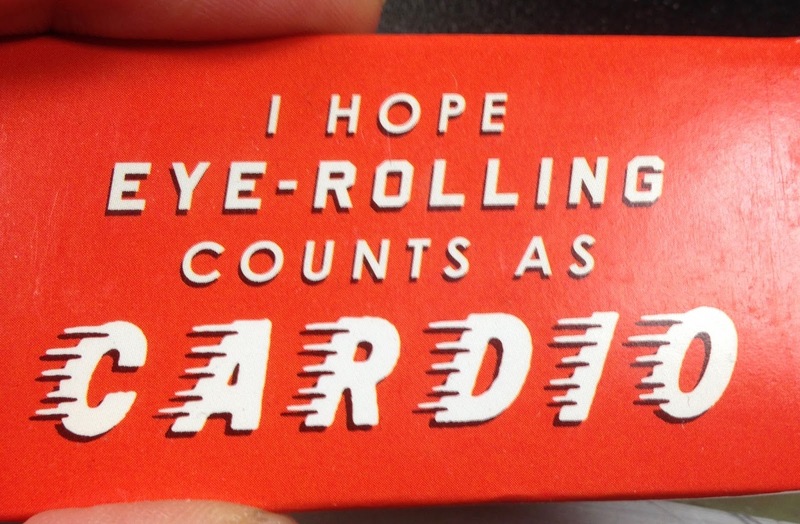 Especially during the holiday season. I bought quantities of things that normally I would not have. Suddenly having 14 boxes of crackers, 6 bags of potato chips, and various and other sundry “treats”, became a necessity! I understand and practise the concept of shopping the outside aisles of any grocery store, where the fresh items can be found. I nip into the middle ones as needed and consciously skip aisles, because I know browsing can lead to buying. A couple weeks ago I declared that we would be eating our way through our frozen goods and now after the binge buying for the holiday season I’m including our dry goods as well! This is home to the condiments, jams, jellies, dressings and spreads. Amongst our collection are bottles and jars used once, thought it would be good, and containers that make me ask where did this come from and why. Motivating you to recipe search ways to incorporate one or both of the unique grainy mustards on hand, into a dish. Reminding you of a dish you created that you had forgotten about therefore changing the status to used twice. I discarded a horseradish that on the label claimed “hot”, however was anything but hot. Each time I reached for it, I frowned, so I emptied the contents and recycled the jar. Having it reside in my fridge did nothing but take away space for things that make me smile. Have you ever stood there looking for something and all of the contents just blurred together. By wiping jams and jellies of the bits that have accumulated, cleaning the shelves then changing the order in which they appear helps to stimulate and refocus what we see when we are looking for something. Just as the fridge door, presentation plays a big part on the shelves and drawers. Out of sight is out of mind. There are the daily consumables on the shelves: juice, milk, cream, butter, eggs, cheese etc. Because their rotation is frequent there is little fear they will expire before their time. However its the tubs of yogurts, sour cream, cream cheese, cottage cheese that once opened the countdown clock begins and if they get bumped to the back of the fridge there is even less hope. This is where I invest time in organization and presentation. Just like the grocers, I lean towards having them label out and eye level so when someone is peering inside they are easily spotted and may very well inspire someone to use in their creation. Produce can be a challenge, when more than one in the household shops, and recently we had more carrots than we could conceivably consume. Spinach, carrots, apples, celery either get blended or juiced. I have been using a silicone muffin tray to freeze the juiced goodness for smoothies. This has been a clever way to extend the usefulness of produces, especially when greens start to wither. Again this goes back to buying the quantity of fresh that exceeds our consumption. Being mindful that consuming good food can be rhythmic and because you ate the large bag of spinach two weeks in a row, it bears keeping in mind that consumption fluctuates. How long do bananas last in the freezer waiting to be made into muffins or a loaf? Banana loaf is a popular item in my household, however, when the frozen bananas start to make me feel guilty for not having made them into a baked goodie I let them go. There is more than one way to use up an overripe banana than tossing it into the freezer to live for eternity. I have chosen to buy less rather than more, rather than having the excess be banished to the freezer. This past summer when at a warehouse store I decided I would buy a selection of frozen treats. Turns out only 25% of the pack was popular and in the freezer remains the other 75%, 4 months later. I do not consciously like to discard food, however, the reality is that no one is going to eat them. With it being winter the odds are even smaller, and the odds get even worse thinking it will be another 4 months until frozen treats will be attractive. Therefore, I let them go. Until further notice in my household I will not be replenishing: crackers, cereal, potato chips and other snacks. I’ve already made peace with the fact that I’ve overbought and that despite my best efforts some of what I bought will go stale. Now that the holiday season is coming to a close, the buy four specials or the bogo offers will drop in popularity until the next “celebrate by serving potato chips” occasion comes around. 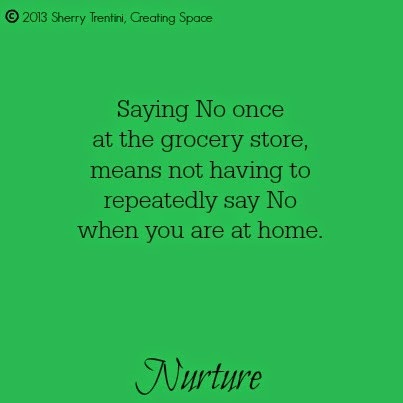 Saying “No” once at the grocery store means not having to repeatedly say No when you are at home. They suggest not to grocery shop when you are hungry, I would also add not to grocery shop when you are not present. Being tired or distracted may lead to you accumulating things in your trolley that do not serve you or your household in a nurturing way. I know I have allowed the dazzle of the “good deal”, to influence my purchasing, and I know I have paid the price twofold. Hence having to consciously declutter my food storage. Making choices that are contrary to our lifestyle, does not mean that we have completely let go of our Nurturing values. We have the power of choice: choosing to continue in that fashion or not, and the wisdom to know the difference. Donate things that I know I will never use. Discard things that are no longer useable or donatable. Clean, Organize and Refresh the energy of the things I do want in my space. Most of my personal belongings are stored in a 16′ x 16′ container. Despite the best intentions the most perfect home has not been acquired in our new location. Therefore we continue to live in a furnished rental property with perhaps 40% of our belongings. This makes me a little antsy. This makes me a wee bit impatient as I know there are things in that container that meet the criteria above. I decided this morning that in order to satisfy my need to purge, clean, organize and refresh my space I’d have to be creative. Since I can not get into my boxes I would literally have to think outside of them! I went to my Inbox! I started my day with a coffee and settled in to read my personal email. Thanks to my smartphone I easily delete and discard emails on the fly, but what I noticed when I opened my account on my computer is that I had a total of 4181 read emails in my inbox. I navigated my way to the 4181st email and by only looking at the subject line I knew that I could let it go. I worked backwards for a time, deleting 50 emails per page, simply by reading the subject line. In no time I was down to 3404. Then 3,101, then 2794, 2660. By the time I had finished my first cup of coffee I had deleted 1521 emails. It could have been easy to get caught up in the reading and reminiscing of emails from some senders. It could have been easy to create a folder named “Keepers”, to sort and organize correspondence into. The truth of the matter is that the content was no longer valid, no longer applicable, and no longer valuable. It was simply taking up virtual space so I clicked “Delete”. Some of those emails were over 4 years old, and again without clicking on them and getting caught up in consuming the content I decided that simply deleting them was me choosing to stop “shoulding” on myself. Having recently began my own email list for my website, I understand the value of list building. I can not aptly describe the thrill of receiving an email telling me that someone signed up to my list, trust me it is very exciting. What I noticed in my inbox is that there were multiple stored emails I received from companies and people that I rarely if ever clicked on. Most of them were the giant corporations that incessantly send emails and frankly I never read them. So I clicked the Unsubscribe, thanked them silently and deleted all of the ones I had never been opened. What I have learned in the last few weeks of building that list is the importance of sharing content that people click on to read and engage. Having people who are not attracted to your content, offers or what you have to say, or like me delete without even clicking, is a disservice. I can not aptly describe the moment of acceptance when I received emails informing me that someone had unsubscribed from my list. I trust that when I sign up for email newsletters, offers or otherwise I do so when I attracted to the content; therefore when I have unsubscribed from a list I am doing so because that content is no longer of value to me, I am overwhelmed by the influx, or I am turned off by constant offers and no content. I get to choose who appears in my inbox. When I received unsubscribes I accepted the fact that, like myself, they valued the content of what they had received however they were honest with themselves and me that it was not most perfect for them. 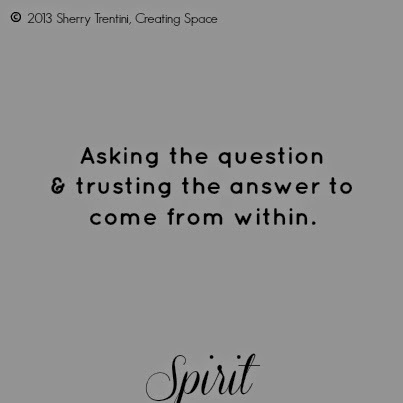 Asking the question and trusting in the answer. I’m quite pleased that some companies are giving you the option to have your receipt or invoice emailed rather than a paper copy. I enjoy the print at home option for tickets as well. The paper copy can fade in time, or smooshed from your pocket or bottom of your bag. A paper copy can be misplaced, misfiled or mislaid. An email copy is very efficient and easily searchable or filed electronically. In my 4181 emails, I was able to let go of well over 500 emailed receipts over the past few years. Updates on events I had attended. There is an expiration date on holding onto purchase receipts, both literally and electronically. Especially when some online vendors keep that content in your account and keeping one in your inbox is simply duplication of the same. Just like cleaning out your wallet, purse or file folder, discarding receipts of past purchases creates space in your inbox as well. I had a couple dozen emails that I had started, never finished or may have gotten distracted, called away from or had simply changed my mind about composing. I had a couple of emails that I had obviously decided it was in my best interest and that of the greater good, to write but not send. The cathartic response to putting pen to paper or fingers to keyboard to get things off of your chest is either reacting or responding to something. Just as you were taught in school when writing an essay or report, it is best to get the content on paper, walk away or let it sit, then go back, review and edit. Reacting is often your first draft. 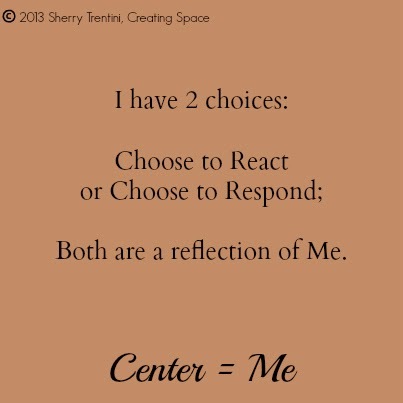 Responding is letting your first draft sit, reviewing and editing the content with perspective. Holding onto drafts hold thought energy, its like that niggling feeling like you forgot to do something. Deleting emails that you had started and never finished, drafts that are well outdated are holding space and holding thoughts that may serve you better to let go of. I do not fancy myself a hoarder, quite the contrary, so today when I managed to declutter nearly 2200 emails I was very pleased to how en-lightening it was to have created that much space in my inbox. I did not get caught up in reviewing the content, rather I used the criteria of date (starting with year), subject line, and sender, as my guide to whether it held any value. I was honest with myself about whether I would create the time to review the emails I had organized in folders. Letting go of the “should reads” literally made my shoulders relax. Unsubscribing from lists from giant companies was easier. I consciously signed up for their list through purchases or necessity; I consciously unsubscribed from their list due to the quantity or lack of relevance. Choosing to let go of emails from an entrepreneur or website was harder but equally valuable. When I searched the sender I noted how many emails I had engaged with, and how many I had “intended” or “shoulded on myself” to get back to. I did choose to delete past emails I hadn’t read and will see if I’m inspired to carry on with them as new emails arrive. Deleting Receipts felt like cleaning out my wallet or purse. 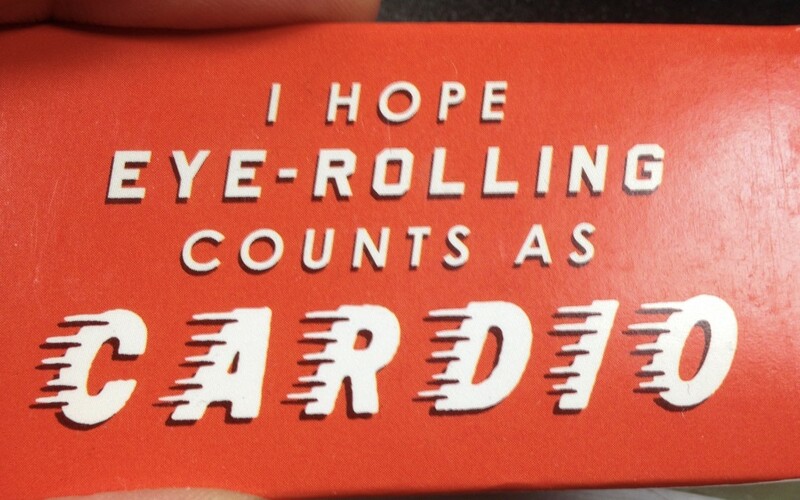 It was easy and feels lighter just thinking about it. Letting go of email drafts was also easy to do, knowing that they are no longer in virtual purgatory feels better overall. As pleased as I was to have declutter my inbox by 50%; I was equally overwhelmed when I noted that my Sent folder held 4671 emails. Using the date as my main criteria I downsized the sent emails to 3350 in a few clicks. The knowing that I have let go of 3502 emails or 40% of the content I was holding in my email account is a great way to Create Space in my world! How would you describe your favorite body of water? How would the water be moving or is it still? Would it be deep or shallow? Would it be calm or energetic? Off the top of your head, what water metaphor could you use to describe your life at this moment? 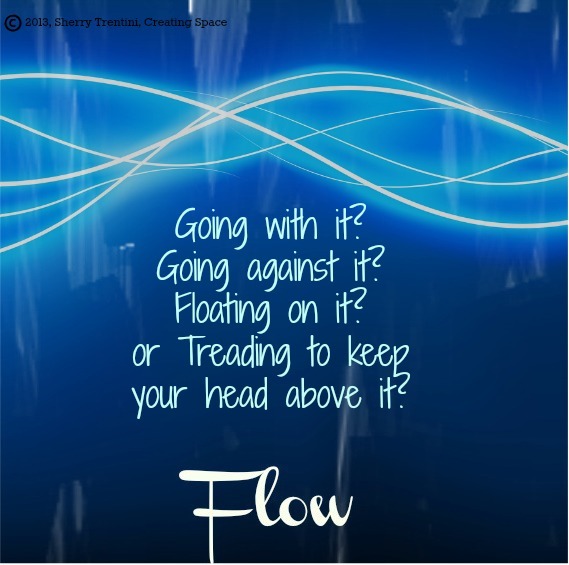 Does that metaphor match your ideal Flow in your life? 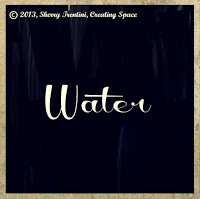 Water is an essential ingredient in our life. Literally. Our bodies are composed of 50-75% of water. We can live without food but we can not sustain our life without water. Water is the source of Life, it is connecting to spirit and spirituality. It is the Flow of life. Momentum would also be a great way to describe Flow. That feeling of being in the groove. 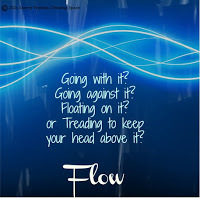 Where in your life are things not going with the flow? Where have you sprung a leak? 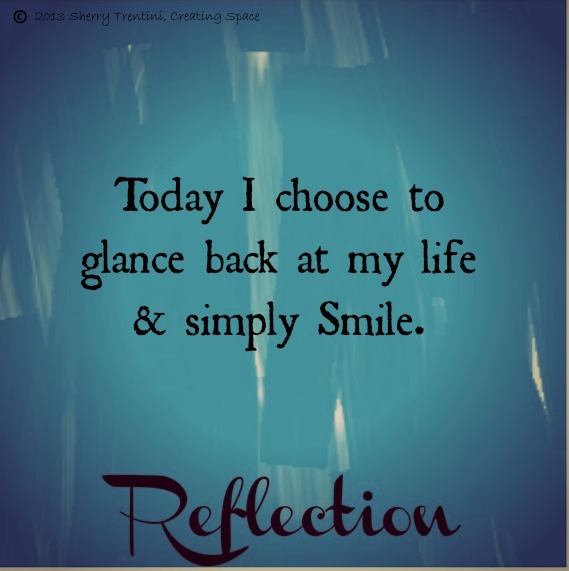 What could you add to your life or let go of in order to improve your momentum? We can unclog our flow by letting go of things that seem to be holding us back. It could be letting go of literal things, people, relationships, thoughts, clutter and even the simple act of deep breathing can help to release energy to get your flow back on. What parts of your life are going with the most perfect flow? What can you learn from those tributaries and apply to the areas that need some help? 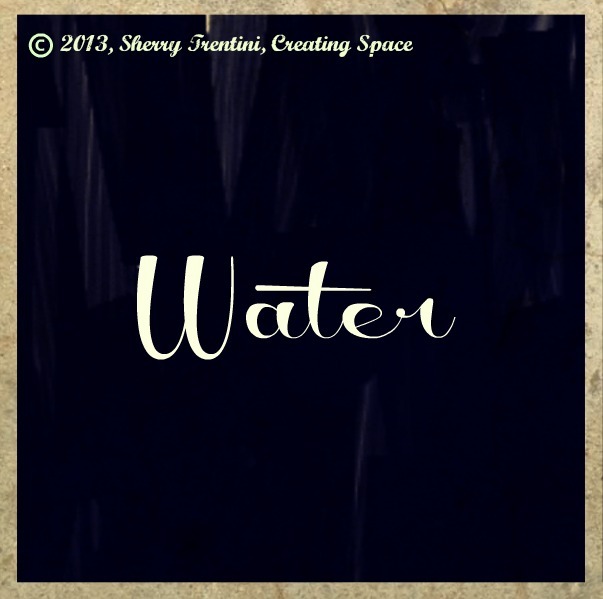 I believe that we could associate multiple metaphors of water to describe our lives. Your ideal career pace may look completely opposite from what you want your home life to feel like. 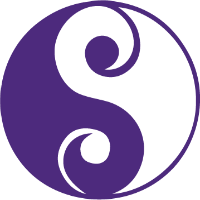 The magic is finding the Balance that suits you best.